Recently Miranda wrote a blog post about the importance of Facebook for freelancers, and included a little information on how to use Facebook to find freelance work. In this post, I’m going to take that a little further and include information not only about how to use Facebook to find freelance work, but also how to use other social networking sites such as Twitter and LinkedIn to find not only freelance work, but also other work from home jobs. Most everyone is familiar with Facebook – it’s the number one social networking site on the web. As Miranda mentioned in her post, there are many work from home websites that have Facebook pages – in fact, Anna over at Real Ways to Earn Money Online wrote a post recently where she listed 22 different work at home Facebook pages. In addition, many companies that hire people to work from home also have Facebook pages that you can follow – this can be a great way to find out about open positions. There are also some great Facebook Groups for freelancers, such as Any and All Freelancers – members of this group post different freelance jobs that they find, and they also post questions about different freelance companies that other members might be able to answer. Twitter is another great social networking site, especially if you don’t have the time to read long messages that are sometimes posted on Facebook – many work from home companies, as well as work from home blogs, are on Twitter. Work from home bloggers will often post links to their latest blog posts on Twitter, or post short messages about promotions they have coming up. In addition, if you’re a freelance writer, especially if you write your own articles for sites like Yahoo Contributor Network, or write your own blog, Twitter can be a great place to find ideas for blog posts or articles to write – all you have to do is follow sites that relate to topics you like to write about. For example, I like to write articles about topics relating to health and fitness, so I follow sites like NBC News Health and Everyday Health, among others. LinkedIn is another great social networking site for finding work, because LinkedIn’s focus is only on business contacts. When you join LinkedIn, the people you add as friends are called your connections. In order for you to add them, you need to be currently working with them or have worked with them in the past – however you can also add connections that are related to people you work or have worked with, so LinkedIn is a great way to meet new potential contacts. Just like with Facebook, LinkedIn also has a lot of groups you can join – some of the ones I’ve joined are the Work@Home Community and Freelance Writers, Inc. These groups can also be a great place network with others, as well as find jobs, because a lot of times people will post different jobs, as well as discussions on jobs. Another thing that’s great about LinkedIn is that your connections can write recommendations if they’ve worked with you – this can be very helpful when you’re applying for different work from home jobs. 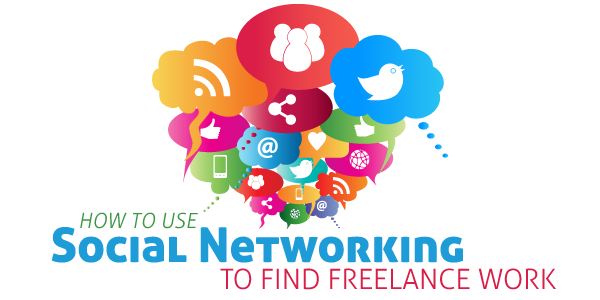 These are just a few ways you can use the three major social networking sites to find freelance work from home jobs, however there are many other social networking sites out there, so there may be other ways to find freelance work on other social networking sites. I would be interested to hear any ideas you all have for using other social networking sites to find freelance work. Thanks for the mention, Erica! I also agree the other listed sites are excellent options for find real work from home jobs. Good tips, Erica and good additional information to read. Every one wants to earn from online, your post is really one of the great post about jobs searching. thanks for your great helpful post.